4711 Ice Eau De Cologne 200ml. For men floral cologne. Fresh and attractive. Home » 4711 Ice Eau De Cologne 200ml. 4711 Ice Eau De Cologne 200ml. 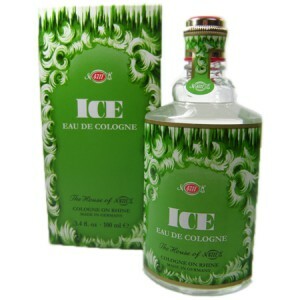 Product Code: Ice Eau De Cologne 200ml. 4711 Ice Eau De Cologne - 200ml. - Cool attractive, vibrant and fresh as the morning dew as natural perfume, dedicated to self-confidence, self-loyal men, like the sun and the next breath Sasa representatives oncoming success, sophistication, calm self-confidence, the pursuit of higher target, reflecting the city's way of life and look at the universal mind, to show your unique refreshing quiet in the fiery sun, and give you a memorable scent. Scent Before the taste: pineapple, violet, bergamot flavor: plums, peaches, mint, lily of the valley after taste: amber, cedar, white musk. Launched in 2008. For spring and summer use.